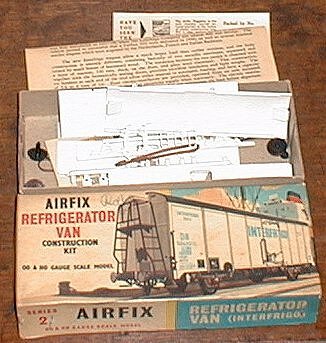 The side doors operate on this superbly detailed scale model of the new large capacity Interfrigo refrigerator van. These wagons are widely used for transporting perishable goods. Protected by refrigeration, goods arrive in better condition than those transported by other means. Even in the height of summer, foodstuffs can be carried for many days without deterioration. A 56-part kit complete with transfers.